The farm is open every day from 8am - 6pm! $10 early bird entry 9am - 10am. This once a year shopping extravaganza cannot be missed. Who said you can't find a bargain on Nantucket? Furnishings for every room in the house, table top accessories, kitchen tools and utensils, lamps, art, antiques, outdoor furniture, garden ornaments and clothing from Nantucket stores for the entire family. Need a gift for a client? Or your host/hostess? Or a thank you for someone special? How about a gift basket from Bartlett's? Order now and we’ll deliver for free before Christmas. Or a great Thank You gift for anyone special? Joan will be stocking salmon, halibut, cod, oysters, scallops, poke salad and smoked blue fish pate! We are thrilled they are reopening, as we are planning on making this fabulous oyster stuffing for our Thanksgiving meal! Click here to read and print the recipe. 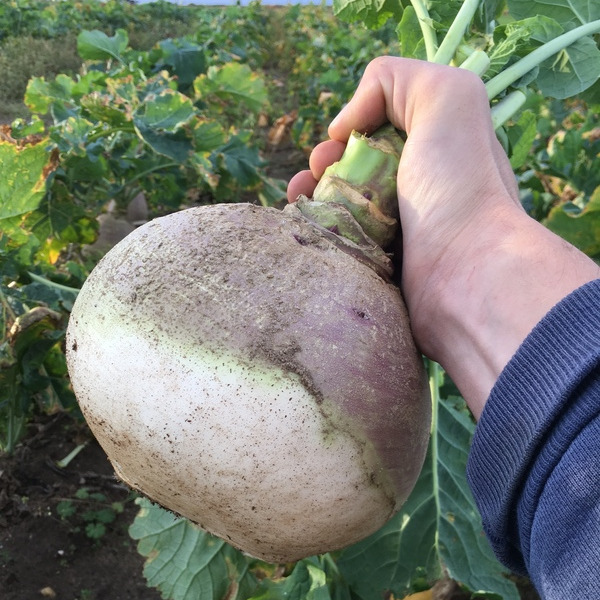 Don't be scared of Volute...it's just a delicious creamy turnip soup! Check Out This Week's In-Store Specials! And look for yellow sales tags throughout the market. Lots of tasty items on are sale. to ship anywhere in the continental US. In store pick up begins November 21. These wreaths make great corporate gifts, too. 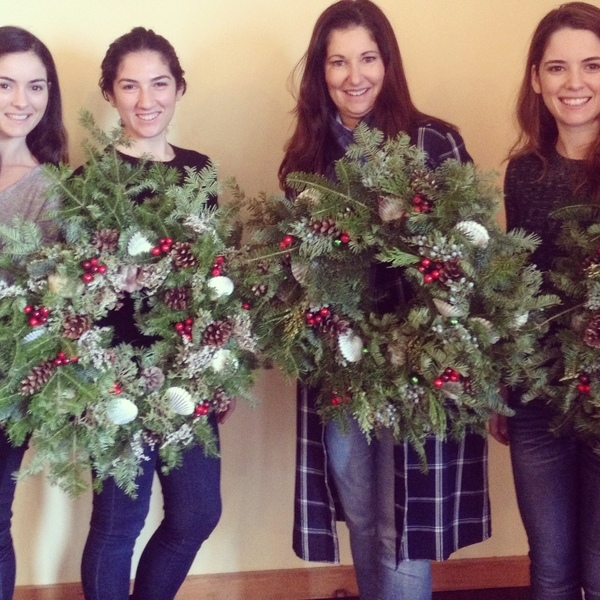 If you haven't attended one of Liz De Souza's wreath making classes, you've been missing out! You will walk away from this fun gathering with a wreath that you have decorated and you can be proud to hang it on your door or give it as a gift! These classes fill up fast, so don't hesitate to reserve your spot!